There has been a nationwide shortage with the Airomir Inhaler due to a delay in manufacturing. Currently, the manufacturers are estimating that the item will be available at the beginning of May. Airomir Inhaler is used for relief of the symptoms of wheezing and breathlessness associated with asthma. Repeat supplies are available to buy from The Independent Pharmacy for people who find it hard to see their GP to get their repeat prescription. Asthmatics should always have their reliever inhaler on their person in case it is required, The Independent Pharmacy makes getting a repeat prescription quick, easy and affordable. Airomir inhalers are an effective treatment for asthma, providing short -term relief from the associated symptoms. Airomir belongs to the group of inhalers known as 'relievers'. Reliever inhalers can also be used to help prevent asthma symptoms from occurring after exercise, and to relieve breathing problems associated with certain respiratory conditions, such as COPD. 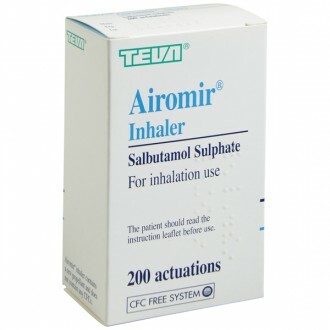 Airomir inhalers contain the active ingredient Salbutamol Sulphate. After inhalation, salbutamol will begin to ease breathing within five minutes, with the effects continuing to work for up to six hours. 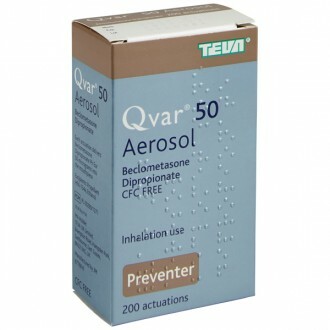 Airomir inhalers are manufactured by Teva UK and are classified as a prescription-only-medicine (POM). There are two variations of the Airomir inhaler available. The first is the Airomir aerosol inhaler. Administering this device involves pressing down on a metal canister, which triggers the release of 100 micrograms of the active ingredient, salbutamol. This action requires timing the inhalation to coincide with the manual compression of the canister. Poor timing with this action can result in the user not getting the full dose. For this reason, it is important to have regular check-ups with your GP or asthma nurse to ensure your inhaler technique is effective. The second variation is the Airomir Autohaler. The device, once primed, will automatically release a measured dose when the user inhales from the mouthpiece. For many, this is the preferred option as it doesn't require coordinating activation with inhalation. Repeat supplies of Airomir Inhaler and Autohaler are available to buy from The Independent Pharmacy's Online Doctor service, following a free consultation, to help control asthma in those who have been diagnosed with the condition by their GP. Generally, asthma inhalers can be categorised into two types. 'Preventer' inhalers , which usually contain a corticosteroid, are taken regularly to help reduce the inflammation of the airways. This action will help reduce and control the chances of experiencing asthma symptoms or an asthma attack. 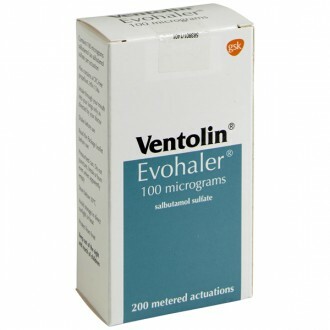 Salbutamol-based inhalers, such as Airomir, are known as 'Reliever inhalers'. These are used on a 'when required' basis, to help relieve asthma symptoms. Airomir can also be used pre-emptively before you exercise or encounter known asthma-triggering allergens. 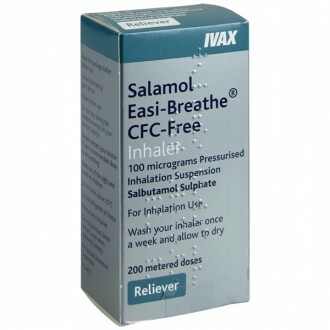 Salbutamol belongs to a group of medicines called short-acting beta 2 agonists. This group of medicines acts on the beta 2 receptors found in the lungs. When these receptors are stimulated, it causes the muscles in the airways to relax, which allows the airways to expand. This action helps to relieve asthma symptoms, such as coughing, wheezing, shortness of breath, and tightness in the chest. Asthma affects over five million people in The UK. The condition is the result of inflammation in the bronchial airways (the tubes that connect the windpipe to the lungs). The associated swelling causes the airways to contract, which will obstruct the flow of air through the passages. The inflammation of the bronchi will also result in an increased production of phlegm. This further serves to obstruct the airways. The resulting symptoms include; coughing, wheezing, tight chest and a shortness of breath. Although asthma is a common condition throughout the world, people's experiences with the triggers and symptoms can vary. Depending on the sufferer, an asthma attack can be brought on by; allergens, airborne pollutants, infections, cold air, exercise, or stress. Why certain people are more sensitive to these irritants isn't fully understood. However, genetics seems to play a role, as having a family history of the condition increases the likelihood of having asthma. The recommended dosage for adults is one or two inhalations from the Airomir inhaler, as required. This will help prevent symptoms of asthma if taken 10 to 15 minutes before exercise or exposure to allergens. For the standard Airomir inhaler, inhale as you press down on the metal canister. Check with your doctor frequently to ensure that you are using the correct technique. Once primed, the Airomir Autohaler automatically releases the salbutamol when you inhale from the mouthpiece. If your symptoms require you to use your Airomir inhaler more than eight times within a day, inform your GP – there may be a better treatment for your condition. Dizziness, headache, feeling tense, mild trembling or shaking. Oleic acid, ethanol, propellant HFA-134a. Airomir does not contain chlorofluorocarbon propellants; this is replaced by propellant HFA-134a. What do I do if my Inhaler is not working properly? How do I buy Airomir Inhalers online? How many Airomir Inhalers can I buy in one purchase? Airomir inhalers are a prescription-only asthma treatment. For that reason, to ensure the safety of our patients and the legal operating of our pharmacy, we only supply a maximum of 2 inhalers at one time. What do Airomir Inhalers contain? 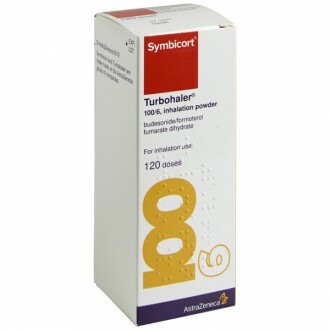 Each inhalation from an Airomir inhaler or Autohaler contains 10mcg of salbutamol. 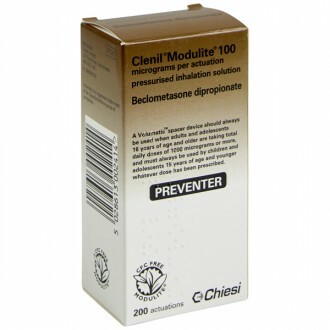 The medicine also contains inactive ingredients that are used to make up the inhalation – for more details please see the 'Ingredients' tab above. How do Airomir Inhalers work? 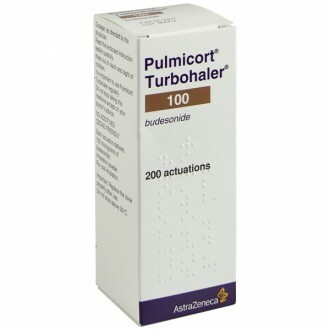 The salbutamol contained in the inhaler dilates the airways, relieving the symptoms of asthma. Are Airomir Inhalers available for next-day delivery? Is it safe to buy Airomir Inhalers online? Yes – as long as you are buying from a website that is a legally operating and regulated pharmacy, it is perfectly safe to buy Airomir inhalers online. What are the advantages of buying Airomir Inhalers online? A wealth of information - we provide all the information you could need on Airomir inhalers and other asthma treatments, in easy to digest formats, at a time that suits you. 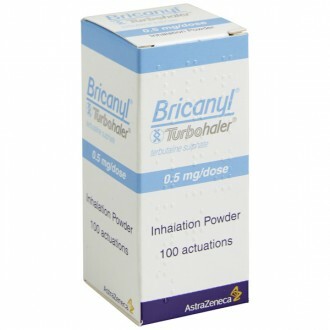 I normally get Airomir Inhalers from my doctor - why should I buy them online? Airomir inhalers are available on the NHS from your GP if you have been diagnosed with asthma, exercise-induced wheezing or breathing problems due to allergens. This is normally where we suggest people start their treatment, to ensure that their condition is properly diagnosed and any possible serious symptoms are addressed.